How many lens flares are there in the whole of J.J. Abrams' Star Trek movies? A lot. And some crazy rounded them all up into two videos just to inform us all of the light bright insanity that is a lens flare. Way back in 2009, right after the first press screening for the first Abrams' Trek we asked the director about his pension for all things shiny directed into the lens. He admitted that they were ridiculous, but part of the new look. And now we can't imagine the movies without the flare. 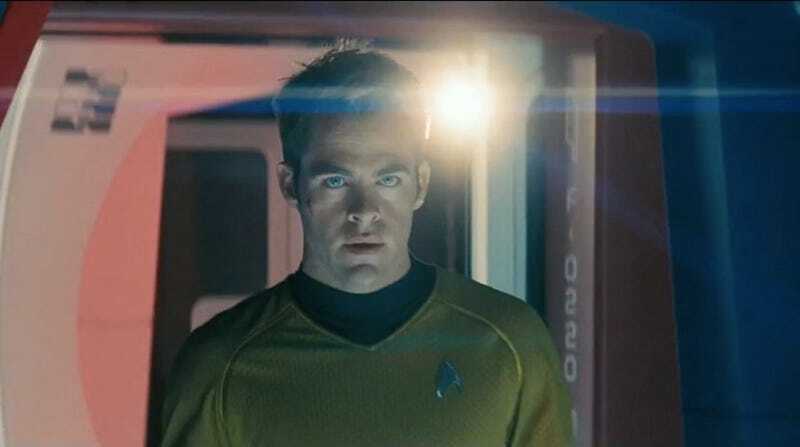 J.J. Abrams Admits Star Trek Lens Flares Are "Ridiculous"
And here they all are, together forever. All 1,547 Star Trek lens flares. Thanks to Dylan Browne.